No-fuss always-on access to corporate/ISP e-mail, calendar, Web and voice/SMS services for mobile professionals who want it all in one device. Company names: Research In Motion, Inc.
To many business travelers, carrying a single device that serves as a mobile phone, e-mail client and information organizer sounds attractive. But those who have done so have run into barriers such as painfully slow networks, inability to view e-mail attachments and PDAs that are too big and awkward to carry as a mobile phone. The BlackBerry 6210 wireless handheld does an excellent job of overcoming these past obstacles, making all-in-one not just technically feasible, but truly usable. At under 5 ounces and 2 centimeters thick, this 4.5" x 2.9" device fit comfortably in my palm, with most functions accessed through a clickable thumb-wheel on the upper right corner. I found the 6210's monochrome display easy to read, but if you prefer color, spring for the 7210 ($449). Because of its size and simplicity, I'd be happy to carry the BlackBerry as my mobile phone. For example, the phone can be used with or without a headset, and calls can be launched from the keyboard, address book, or incoming messages. But I'd use a different case, since I found the included holster too snug. Navigation is pretty intuitive. The manual offers shortcuts that can further improve productivity -- for example, using the space bar for @ and . when entering e-mail addresses. I've used graffiti and graphic keyboards before, but discovered that I'm faster at entering data on BlackBerry's mini-keyboard. Unlike Pocket PCs, the BlackBerry doesn't try to be a tiny computer -- it's primarily a wireless communications device and PIM. For example, using BlackBerry's applications, you can send and receive e-mail, including viewing the text in Word, Excel, PDF and PowerPoint file attachments. You can't create or edit an Excel spreadsheet or presentation, but you can search these attachments and copy selected text into mail messages and PIM applications like memopad, task list and calendar. Third-party business applications are also available for corporate data access via RIM's BlackBerry Enterprise Server (not tested). Enterprises can use RIM's Enterprise Server to integrate BlackBerry handhelds with Microsoft Exchange and Lotus Domino corporate mail servers. I tested mail with two other options -- my existing POP accounts and the included BlackBerry WebClient account. Enterprise mail integration offers value-added features like mailbox and calendar synchronization, 3DES encryption over wireless and corporate control over handheld use. Integrating with my POP mail was very handy, and filters helped me avoid forwarding unwanted messages (like spam) to my BlackBerry. But I had trouble keeping under my inbox limit, even when using auto-aging to delete older messages. When your inbox is full, delivery is suspended until you do some house cleaning. Fortunately, you can file and delete messages right from your handheld, automatically synchronized with RIM's WebClient mail server (but not your POP server). One very nice feature is that new messages are pushed to your handheld as long as you are in a GPRS coverage area. Instead of checking e-mail every so often, you can see (or if you wish, hear) whenever new mail arrives. Outgoing mail is sent immediately or when you next enter a GPRS serving area. GPRS is much faster than older wireless WAN technologies but still limited to v.90-like speeds. But you probably won't yearn for bandwidth except when Web browsing. I found the BlackBerry's micro-browser usable with wireless-tuned Web sites but was unable to use some of the more complex Web pages that I tried to visit. I tested BlackBerry over AT&T Wireless's national GSM/GRPS network, where data services start at $39.99 for 4 MB per month ($.0048 per kilobyte thereafter) or $49.99 per month for unlimited e-mail and Web browsing. GSM voice services start at $19.99 per month, and include a $5 discount on data services. International readers will appreciate that the BlackBerry 6210 can also be used in Canada, Europe and Asia Pacific over other World Band GSM/GPRS networks. 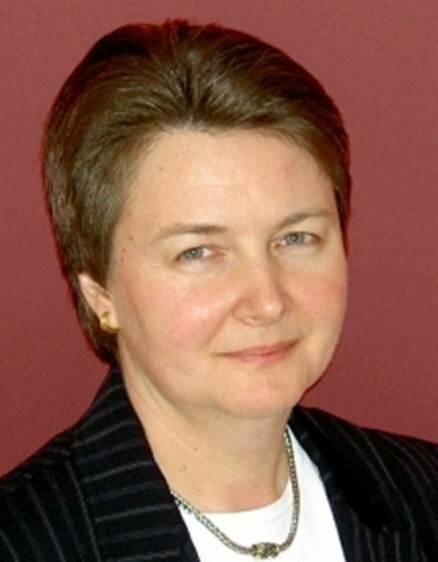 About the author: Lisa Phifer is vice president of Core Competence, Inc., a consulting firm specializing in network security and management technology. She is also a site expert to SearchMobileComputing.com and SearchNetworking.com.